I have to admit that when I first thought I’d like to try this recipe, I didn’t even know what elderflowers looked like. I had to google them and then once I had and I saw the cluster of tiny white flowers, spread out in that distinct, flat, oval shape, I couldn’t stop noticing them absolutely everywhere. 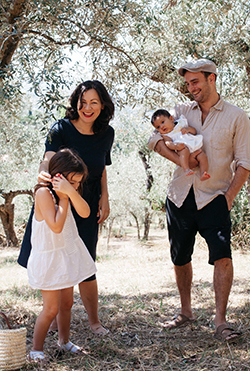 In spring, they are prolific around Tuscany and pop up anywhere where you find green. I even found them in town, growing around the edges of the park and getting caught around other plants, like a weed. I picked as much as I could easily hold in a bunch (while pushing a pram with the other hand) and headed home to put them straight into some water. They wilt easily, and in the late spring heat, even more so. 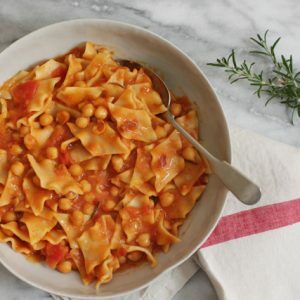 The recipe is one I stumbled across while flipping through chef Bartolomeo Scappi’s Opera (also known as Opera dell’arte del cucinare), a cookbook from 1570. It’s not an easy cookbook to follow and with over 1000 recipes, it’s even harder to find recipes within it as it does not have a traditional index. So flipping through it has become way preferred way of getting to know its centuries-old recipes. Frittelle di fiori di sambuco, or elderflower fritters, were immediately appealing, not only because they did seem so similar to modern fritters (deep fried and rolled in sugar – there’s a reason this has been a popular thing to do for centuries) but there’s something about eating flowers that I just find quite romantic. And rather intoxicating and decadent. It’s the scent, you see, that is captured in the food when you eat flowers. Like in rose petal jam, that perfume turns into a flavour, and it’s no exception here in these delicious, delicate, sugar-coated fritters. 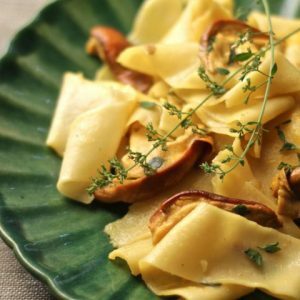 The recipe is not exactly Scappi’s, but it is entirely inspired by his recipe. 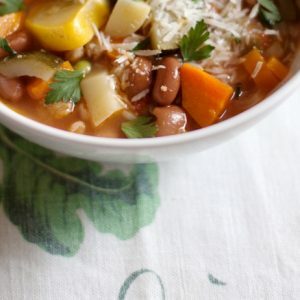 He describes his recipe in libre and once, pounds and ounces, which I converted based on this information – depending on where, and when, these measurements were slightly different so you can see where this gets quite confusing. In the end, going by proportion can also help, keeping in mind that one libra was equivalent to 12 once. I also thought these fritters sounded very similar to these traditional ricotta fritters from Emilia-Romagna that I wrote about for Food52 so I was also inspired by that recipe. I did cut down the number of eggs for fear of having a very liquid mixture as I also did leave one essential ingredient out, which is cheese. 1 libra of cacio grasso (other similar historical recipes specify Parmesan along with the ricotta) was also specified in the list of ingredients, which I’m sure would not only help bind the mixture but also give it a slightly sweet-savoury flavour – something that would have been much appreciated in the Renaissance. I left it out, preferring an all-sweet, delicate fritter. I think you could also leave the saffron out too, this precious Renaissance spice would have made it all the more a special dish. Scappi also says to fry in melted butter or lard but I used vegetable oil. 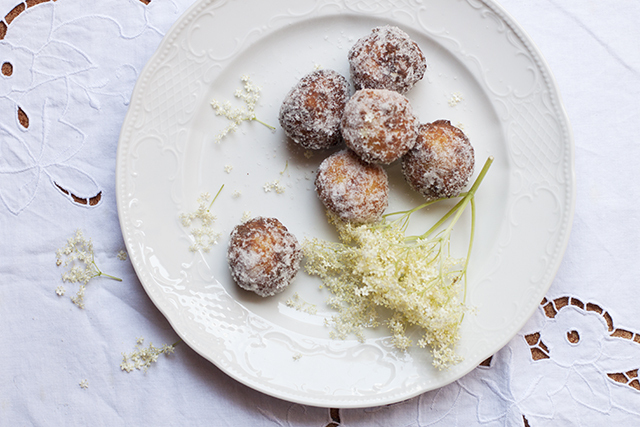 Other versions of historic elderflower fritters include cinnamon and rose water in the mixture too, which I think would be lovely too although I do like the simplicity and purity of elderflowers on their own here. These are simply heavenly. 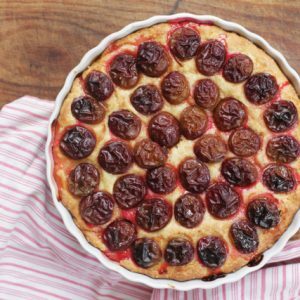 Piglisi libra una di cascio grasso, e una libra di cascio fresco, overo ricotta, e pestisi nel mortaro, giungendoli oncie tre di pan grattato, e quattro oncie di zuccaro, sei ova, un poco di zafferano, tre oncie di fior di sambuco ben netto che sia stato in mollo nel latte, poi d’essa compositione facciansene palle, e infarinisino in fior di farina, e ponghisino a friggere nel butiro liquefatto, overo strutto, e fritte che saranno, servisino calde con zuccaro sopra. Rinse the elderflower heads in plenty of fresh water then leave to dry on a tea towel. In the meantime, combine the ricotta, breadcrumbs, 50 grams of sugar, egg and saffron in a bowl. Pick off the flowers from their large stems (some little stems are fine) and carefully fold them in to the ricotta mixture. Taking two teaspoons, drop heaping teaspoons of the mixture (about the size of walnuts, no bigger) into a bowl of flour and coat. Set aside on a plate while you continue with the mixture. Heat a small saucepan with enough vegetable oil for the fritters to be able to float in. You want a stable medium heat. Test the heat by dropping a cube of bread into the oil. You should immediately see plenty of tiny bubbles appearing around it. Carefully drop a few of the fritters into the hot oil and fry until evenly golden brown, about 90 seconds. Turn and roll them during this time and try not to be tempted to overcrowd the pan – fry about 4 or 5 at a time. If you find it’s taking less time for them to brown, the oil is probably too hot. Take it off the heat or turn down the heat for a while. The last thing you want is for the fritters to be raw in the middle. Remove the fritters from the oil, place on absorbent kitchen paper to drain slightly, then roll in sugar and serve warm. I was totally the same when I came across elderflower tea at the supermarket. I didn’t think to highly of it in tea form, but will give your fritters a go, perhaps eating them is the best way to enjoy. Dried and fresh – like most things – are completely different! I suggest trying them like this, it’s just wonderful! Wish you could smell them from here! 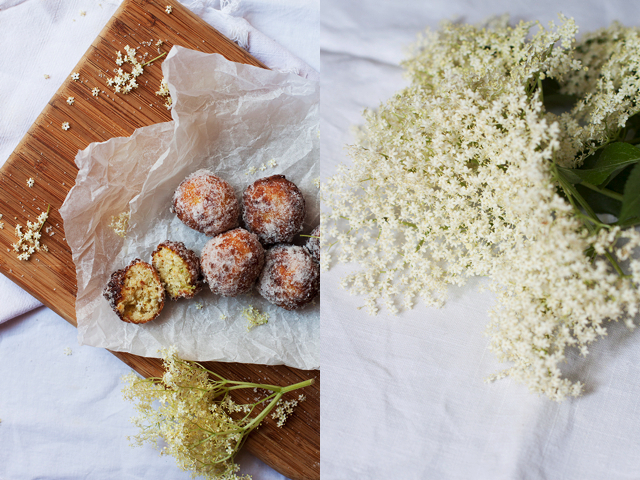 That photograph of elderflowers makes me nostalgic somehow…what a delicate way to elevate a simple treat! Beautiful recipe, Emiko! 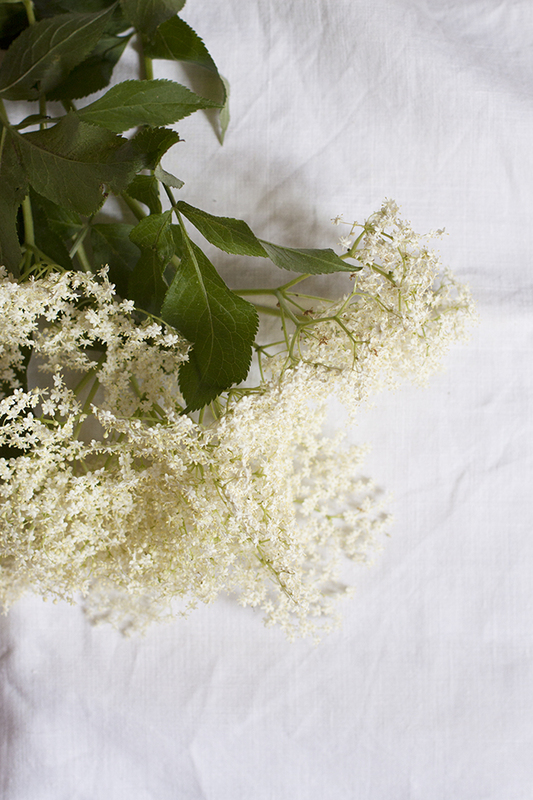 I’ve never cooked with elderflowers; in fact, I think the only time I’ve tasted their flavor is in elderflower liquors. These sound just wonderful though! 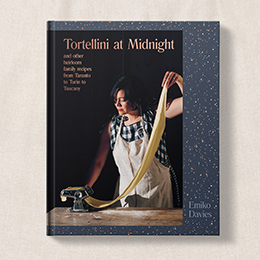 I’ve been following your column on Food 52 for a bit now, though admit I’ve just recently acquainted myself with your site — it’s just lovely, and I’ve really enjoyed skimming through your posts. Thanks so much Angela! Cooking with flowers (and eating them!) is something I think we don’t do enough – but this is a wonderful way to try them out. That cookbook looks very interesting. I’m hoping Google Translate will be able to tackle translating the full text version from archive.org. It’s been stuck on “Translating” for a while now. The fritters look great too! You should be able to find an English version in print – it’s hefty, and as I mentioned, not exactly easy to go through but it’s certainly fascinating! these looks divine! I never cooked or baked with elderflower as well (which I find strange since elderflower is a common plant in my home country). My mum use to make cordial and that was a treat but that’s all. I say – it’s time for a new “elderflower challenge”. Elderflower cordial is divine too! I love the use of the actual flowers in cooking and eating though, quite wonderful! I’m so glad to hear that you enjoyed this!